If you would have said to me 6 years ago, maybe even just 5 years ago that I would some day write a post sharing about my love of Eastern Orthodox Icons, you would have gotten an earful about the “graven image” part of the 2nd commandment and how wrong I thought the whole idea was. I’ve come along way, baby! It wasn’t easy though. I really wasn’t sure I could become an Orthodox Christian because I just didn’t understand icons or iconography or why they were important. Why would I want to have these hanging in my house? Do I have to kiss them? Why? My very first visit to on Orthodox service was overwhelming. The walls are covered in icons! There are three analogions (podiums). The one in the center held a wreath with a cross. This wreath holds a teeny tiny fragment of the True Cross and I have since learned is only displayed at certain times. The other two analogions are the left and right side as you look at the iconostasis. When facing the iconostasis the one on the left holds the icon of the Theotokos (Mary) and the right holds an icon of Christ. I was so relieved to see the cross. That didn’t freak me out nearly as much as the idea of an icon in the center of the church! Imagine my surprise (and near freak out!) when the next time we showed up there was an icon! In time I learned that particular analogion holds the icon for the Parish Feast day or other special icons or saints on the those feast days. I first accepted and became comfortable with the icons that depicted feast days or events. Then I began to be ok with icons of Christ. But it would take more time before I would be comfortable with icons of saints. At point in those early days I even asked the question “would be possible to be Orthodox without icons?” The answer? Nope. It helped for to know that icons are written not painted. That there is meaning even in the colors used. It also helped me when I learned that the style is intended to represent transcending time. Icons are glimpse into heaven: a place where time does not exist. I think I’ve heard the term “windows to heaven” when referring to icons. After we had been part of an Orthodox parish for a few months, I attended a memorial service. I still wasn’t gung ho about icons and still did not have any hanging in my home. During the memorial service there were framed photos and a large screen that displayed different photos of my friend and former pastor. Suddenly it hit me that, in a way, icons are like memorials. An icon of a saint is a like a framed photo of someone loved. When I kiss the icon, I am remembering that person. I am contemplating her life or his contribution to the faith. Seeing all the icons on the walls at church reminds me that we are one Body in Christ. There is one church and it transcends time. The church transcends space. The icons also remind of us of the truth of the Resurrection. Those men and women are not dead. They are alive in Christ. Sure their physical bodies have no life in them but they are alive and the icons remind me that they are with Christ right now and I have hope that I will be with Him someday. There is one truth though that completely won me over to the side of icon lover: an icon of Christ points to the Truth of His incarnation. Jesus had a flesh and blood body. He had a physical form and that physical form can be depicted in an icon. Though some have tried to do icons with God the Father depicted as an old man, those are incorrect. No one has seen the Father. No one that is except the Son. The Holy Spirit is often depicted in the form of a dove or as flames because that is how the Holy Spirit appeared but the true form of the Holy Spirit can not be written on icon. There are far better websites and blogs than mine if you are looking for explanations of the theology of icons. Or more information about Orthodoxy in general. I am simply sharing my journey from an iconoclast to an icon lover. Yes I own four devices: three of them are NOOKs and one is a Kindle. All of them were purchased as investments in our homeschool. We didn’t purchase them all at once though. We added them one at at time over several years starting with a NOOK 1st Edition in spring of 2011. Most recently I got a Kindle Fire HDX 7”. It was a Mother’s Day gift but I could only justify it if we would use it for school. We can read e-books on all four devices and we could access the internet through wi-fi connection on all of them, but there is a huge difference between an e-reader and a tablet. There are advantages and disadvantages to both. I have 3 e-ink technology Nook e-reader devices. They really do read like a regular book, just not as lovely to hold and you can't flip through the pages and you miss the new book smell. These do not have the computer like screen with the bright lights or flashing colors. There is no glare. You can read it in bright sunlight. You do need a light to read (well the NOOK Simple Touch Glow has a light but I don’t own that one.). Though you can access the internet most websites aren't going to work well and the primary purpose of the Simple Touch Nook is to read e-books. NOOK Tablets (or NOOK Color) and Kindle Fire devices are tablets not e-readers. I also (recently) got a Kindle Fire Tablet. It really is more like using a mini computer. Unlike an e-reader, you can use apps such as Goodreads, Facebook, or game apps. Tablets have screens like computers. It’s difficult to use my Kindle outside because of the glare. It’s bright. It’s flashy and my eyes get tired just like when using my laptop. Yes, you can read e-books in Kindle format (epub for NOOK) but I much prefer reading e-books on my NOOK. When you are going out and about doing errands or taking day trips or spending hours in a waiting room it’s much easier to bring your mini-library with your when it’s contained in an e-reader or tablet. I have around 200 books currently on my NOOK that are *just* from Barnes and Noble. Most of those I picked up for free! I have another 300 to 400 epub e-books (give or take 50 or so) stored on my computer thanks to places like Gutenberg Project, Yesterday’s Classics and Heritage History. The *main* reason we invested in the Kindlefire is because tablets can handle PDF's much much better than NOOK e-ink tech can. 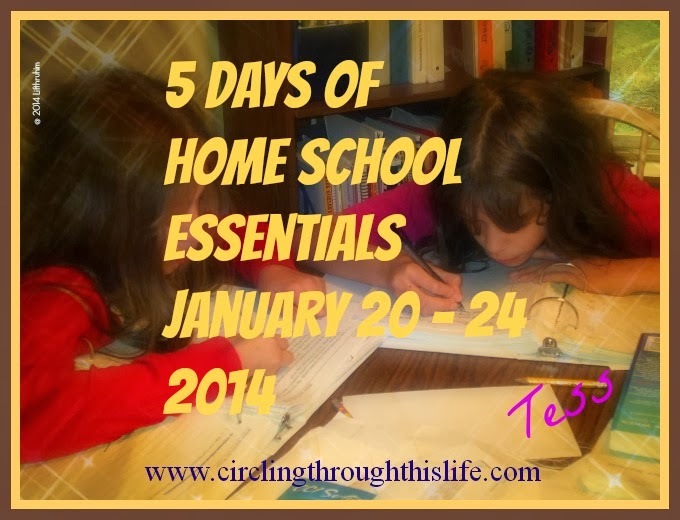 So much of what is available for homeschool is now digital. The tablet is a home school investment. I don't like the computer screen aspect of it for reading books but I have a few books that are only in the Kindle format and that I do not have in the epub format. I like that with the full color Kindle Fire the pictures that are in color in the PDFs show up beautifully and I can *snuggle* with Samantha while reading her history assignment and share those pictures. That's not something that I can do so easily with laptop. We have this fabulous health and nutrition book that is a pain to read on the computer but is *beautiful* on the Kindle Fire. It's a mess and not worth the memory storage on the NOOK. Because the tablet can do videos, the girls have been using the Kindle Fire to watch Homeschool Piano videos (review coming soon!). I think having both e-readers and at least one tablet gives me the best of both worlds and allows me to give my daughters more educational opportunities. I like that we can read books with the e-readers and snuggle and watch lesson videos and read PDF color books on the Kindle Fire. I’m just going to jump in with my Five Random Thoughts for this week. 1. My husband finished reading Mockingjay this week. Mockingjay is the third book in the Hunger Games Trilogy Suzanne Collins. He swore he wouldn’t read the Hunger Games but since we were studying the Hunger Games and the girls and were talking about the book constantly so he read the Hunger Games and then read Catching Fire and immediately followed up with Mockingjay. Interested in the study we’re doing of Hunger Games? Check out my review of the Progeny Press Study Guide. 2. Summer hasn’t really hit the Pacific Northwest yet. A few weeks ago we had some gorgeous weather with lots of sunshine and temps in the mid 70’s. I think those are the perfect days. This week we’ve had one day of sunshine but it’s the first in about two weeks. It was so cold last week that I made chili for dinner. Yesterday was the beautiful sunny day and today is cool and cloudy or at least it feels cold in the house. I know summer is coming. It usually doesn’t start until after the 4th of July. I’m thinking soup or creole sounds good tonight. Something warm and filling. We’ll be eating grilled food and lots of salads soon enough. 3. Boobear turned 19. Yes I did blog about it. Nineteen is still a teen so she might be legally an adult but I still think of her as a teen. We celebrated her birthday along with father’s day with a trip to a state park. 4. I read Murder on the Orient Express by Agatha Christie. Though I don’t know how else she could have satisfactorily ended the book, I did not like the ending at all. The book was clever and complicated and interesting but I was disappointed with the final resolution. But at least I can say I read it right? 5. Speaking of reading, before reading Agatha Christie I had read another mystery novel. It was part of the Hamish Macbeth series by M.C. Beaton. I really like the Hamish books. M.C. Beaton has another series as well but I don’t like it as much as the Hamish books. Now, I’m reading my favorite series. Donna Andrews is one of my favorite authors and I finally got around to reading The Real Macaw, one of the Meg Langslow mysteries. I wrote about this series a few months ago: My Favorite Mystery Series: Meg Langslow. Sometimes it’s nice to read a simple book after reading books like the Hunger Games and A Life in Balance. Nineteen is Still a Teen! Today my “baby” turns 19. I will be clinging all year long to the fact that technically she is still a teen. Sure, she graduated from high school a year ago and she’s old enough to vote. Yes, she’s a legal adult but 19 is still a teen and I intend to hold on to that! Boobear said she can’t believe it’s a been a year since she graduated from high school. I can’t believe it’s been nineteen years since I first held her in my arms. I can’t believe I’ve raised a child to adulthood and we both survived! Since this past weekend was FREE DAY at the state parks, we celebrated with a trip to a state park we’ve not been to before and we brought a picnic supper to enjoy. The weather was cloudy in the morning so we didn’t really start our day until the afternoon and it was nice to see the sunshine for a little bit. BooBear got to choose the park and she chose a park that had access to Puget Sound. Supergirl wanted to know if we were studying sea creatures for school since I insisted on reading aloud the sign telling us about this section of the sound. Yes, everything does revolve around school for us. To get to the “beach” and down to the water’s edge you had to navigate through driftwood. Not easy for some of us but we managed. After we explored the beach area (the tide was coming in!) we rested by a picnic table and the girls found a caterpillar. I particularly liked this picture. It looks like a lake but trust me this is saltwater! It’s part of Puget Sound. It doesn’t quite smell like the ocean proper but it also doesn’t smell like a lake either. I think Puget Sound has a smell all its own. The girls had fun taking selfies together (and did you see those above each girl with her daddy?). It was a lovely day on Saturday spending time together as a family celebrating life and love. Today was sweet and lovely too and this evening we’ll enjoy a family movie night and some cheesecake (no traditional birthday cake for BooBear!). This week’s addition of Random 5 on Friday is brought to you by the Letter G. Last week I combined Random Five on Friday with the Letter F. I’m combining Random Five and Alphabet Blogging Again this week. 1. Garden ~ We won’t be having one this year. Partly because we were busy this spring and didn’t get some of the prep work done that we wanted to do. Partly because we weren’t sure it was a good idea to have a garden right next to the house when we would have people pressure washing the roof and more people coming to pain the house. After seeing how much moss and junk came down this week with the roof washing, I’m rather thankful we didn’t have the garden started. 3. Gravy~ As in biscuits and gravy. I wasn’t raised in the South. My daddy was raised in the mountains of eastern Kentucky. He grew up eating a lot of biscuits with gravy, grits and cornbread. I distinctly remember my mom making country fried steak and mashed potatoes and gravy. She also always made biscuits to go with it. Dad liked to put his gravy over everything. I preferred the gravy to not come anywhere near my biscuit. Oh I liked gravy. I just thought it belonged with meat and potatoes not my biscuit. Some how or another I developed a fondness for biscuits smothered with bacon gravy or sausage gravy. This morning (Fast Free Friday!) we had bacon gravy with homemade drop biscuits. One of my fondest memories is making biscuits and gravy with my grandmother. This is not a childhood memory. This was 10 years ago when I took my husband and children to grandma’s for a vacation. She wasn’t sure I could make gravy having been raised in the upper mid-west. I am pleased that my gravy passed the test. 4. Gratitude ~ I’m grateful for my oldest daughter. Well I’m grateful for all of them but I’m expressing my gratitude this week because my oldest daughter will turn 19 later this week. I’m so grateful that she’s my daughter and I’m grateful to be mom. 5. Giving ~ Giving, almsgiving specifically, is a part of the Fasting Season. Prayer, Fasting and Almsgiving. Monday starts the Apostle’s Fast and though it is not nearly as long or as strict as Great Lent, it is another opportunity for giving. My Favorite Breakfast Meat ~ Bacon and an Easy Way to Cook it! Bacon may be my favorite breakfast meat but I certainly don’t limit myself to eating it only for breakfast. I don’t dislike sausage or ham. I’ve even been known to eat the questionable Spam for breakfast. But bacon? Well, bacon is in a category all its own. I can eat bacon for breakfast, lunch and dinner. All on the same day, too! But I usually refrain from eating that much bacon in day. It’s too expensive and I think spreading it out helps me to savor it more. 1. That bacon is really really expensive! 2. That bacon isn’t nearly as good as taking almost any other package of bacon and cooking it yourself. The ready cooked bacon is just so paper thin! My bacon cooking method isn’t unique. I think I might even have blogged about it before. It may not be unique but it is easy! Preheat Oven to about 400 degrees. Line a shallow rimmed pan (such as a rimmed cookie sheet or jelly roll pan) with parchment paper (this helps with clean up!) and lay out your bacon in a single layer. Bake until you’ve achieved desired crispness. For us it’s around 20 minutes. I love this method because the clean up is easy and no one has to stand at the stove top frying bacon. It also means that I can cook extra bacon to freeze to have on hand. So now you’ve cooked up some extra bacon, (did you cook extra right? you didn’t eat it all with your pancakes or eggs for breakfast. I know it’s tempting to that. I have to set bacon limits or I wouldn’t have “extra” for the freezer either!) but what do you do with it. My latest favorite thing, which deserve a post all its own, is my super easy version of a BLT Salad. Yes you have wait for the blog post. Another fabulous way to eat that bacon is Stuffed Mushrooms. I have mentioned them on my blog but apparently I’ve not posted the recipe. Adding “blog Stuffed Mushroom recipe” to my to do list. So I’ve teased you a bit with suggestions without recipes, but I do have three recipes that I can share. Just click on the picture to go the Recipe Blog Post! Many years ago when the girls were young. I had heard of Learning Wrap-ups. We even had a shapes one and an alphabet one. I was also aware that they had created Learning Palettes but by then the three big girls were beyond them and I put them out of my mind. Thanks to the Schoolhouse Review Crew Supergirl has been using 1st Grade Math Learning Palette 1 Base Center Kit and 1st Grade Reading 1 Base Center Kit along with LearningPalette.com, an online version which access to all the levels for one price! Let me start with a brief overview of the Learning Palette and then I’ll share about the two kits we received and do a brief comparison with the online version. The heart of the Learning Palette is, of course, the base. Measuring approximately 12 inches in diameter, this circular base does resemble an artist’s palette. There are 12 disks in six colors that fit perfectly into the 12 divots. Each of the six colors have one solid disk or chip and one more doughnut shape. I was a little worried about losing the pieces but the base comes with a plastic cover held in place by a screw on cap. Another neat little thing that I really liked is that there are two pegs for holding the curriculum cards. This means that cards can only be inserted one way. I thought this was a clever way to ensure that the cards would always line up. There are cards for Math and for Reading. The cards are self correcting with questions on one side and answers on the other. In addition to showing which disc you should have used, you will see written answers. For most students these Learning Palettes will provide hours of independent studying! The Kits we received arrived in reusable velcro-sealed bags containing one base and all the curriculum packs for that level. Each curriculum pack contains 12 cards. The case even has a handle for ease of carrying around the house. The math kit ($71.99) comes with 6 curriculum packs. The reading kit ($61.99)comes with 5 curriculum packs. We used these a couple of times a week and I always chose 2 to 3 cards from Math and 2 to 3 cards from Reading. One day I had pulled out a few cards for the Learning Palette but we didn’t get to them so I stored them right on the palette. The next day it was already pre-loaded. I decided that I would “pre-load” the palette each night. When she completed a card she could pull it off and put it to the side and I would know it was done. I really liked pre-loading it for her. Supergirl struggled more with first grade reading topics than with first grade math topics. Because of her gaps in skills I was thrilled that we were also given the online version of Learning Palette. For one price ($60) you can have up to 5 student accounts. Each student would have access to all the levels of both Math and Reading. For Math the levels are listed as Basic, Levels 1, 2, 3, 4, 5. Reading has Basic and then Levels 1, 2, 3. I pulled out my physical cards and compared them to the online version and they are exactly the same. So what you see on the online version is what you would get if you purchased the curriculum pack. For us I loved having both the physical and online version. On the days that we did not use the physical product, she worked on the online version but she worked on the K (they call it Basic) level. This allowed me to target the gaps in her skills. I think the online version is very affordable if you have a student like Supergirl whose skills are all over the map. With the online version she can work at any level so if she masters a skill at the 1st grade level, she can move on to work the skill at the 2nd grade level. Learning Wrap-ups are an educational tool that adds as a hands-on component to learning. We received four different products. Mostly Turtlegirl and Tailorbear used these. Each Wrap-Up contains 10 individual key shaped pieces linked together. The keys fan out so that you can wrap one at a time. A string is connected through the bolt linking the keys. You start on the left hand side wrap across to the answer, wrap the string under and come back to the left side for the next “question.” These are self-correcting. There are outlines on the back of each key. If you have wrapped it correctly the string will cover the lines. Learning Wrap up Math Intro Kit w/o CDs ($44.99)(for anybody ready to learn math facts or wanting to review math facts) includes 5 different Wrap-ups: Addition, Subtraction, Multiplication and Fractions. I love the Fraction Wrap Up. The first few start with pictures matched to the fraction continues to reducing fractions, includes adding fractions and ends with matching the fraction to the decimal equivalent. Tailorbear is struggling a bit with fractions in her algebra work and we’re using this to brush up on some fractions. Using the Wrap-ups is quite difficult for Supergirl but with a bit of assistance she is able to do the +1 facts key. Turtlegirl (age 16) has been using 10 Days to Multiplication Mastery Wrap up and Book Combo ($12.99) to brush up on her multiplication facts. She’d mastered them years ago but she felt a refresher would help eliminate some of those pesky little mistakes in her Algebra 2 work. She said "I loved the 10 Days to Multiplication Mastery workbook. Coloring in the chart gave me a huge sense of accomplishment. I also loved the emphasis on the commutative property in the book. I really enjoyed working through the book and I was kind of sad when I was done, but I felt like I had really accomplished something.” The 10 Days to Multiplication Mastery Student Workbook is available separately for $4.99 for those who already have the Multiplication Wrap-up. I was really hoping that there would be more practice worksheets in the 10 Steps to Addition Mastery Wrap up and Book Combo ($12.99). Supergirl needs lots and lots of time and practice to master her math facts. We haven’t mastered Step 1 yet because she is still working learning the +2 facts. Learning Wrap-ups provides a fun way to practice and drill these facts. Tailorbear (age 15) and Turtlegirl (age 16) used the Learning Wrap up Vocabulary Intro Kit ($35.99). Sometimes they would just work them alone but a couple of times I encouraged them to work them aloud so that Supergirl would benefit. Setting aside the fine motor difficulties she has, Supergirl would still find the vocabulary to be bit too difficult for her. Tailorbear, Turtlegirl and I all found that the Compound Words Wrap-up was, to quote Turtlegirl, “ more of a mental workout than a vocabulary exercise.” I found it be like a logic puzzle as I sorted out which word I was supposed to pick. Sideboard? No Sideways. Hairband? No. Toothbrush? No. Hairbrush and Toothpaste. Tailorbear said that homonyms was her favorite and that she did learn something from all four Vocabulary Wrap-ups. My vocabulary kit also included a reproducible Vocabulary Builder booklet. I’d recommend these Wrap-ups for grades 3-4 and up. I love that the Palettes and the Wrap-ups are portable. That means that we can take them with on long drives or to boring doctor office visits with long waits. In addition to the products we received there are Learning Wrap-ups for music, Spanish, science and geography too! They even have a special section just for Homeschool Products! Visit the Schoolhouse Review Crew blog to read what others have to say about Learning Wrap-ups. Did you see what I did with that title? I really want to participate in Miranda’s Random Five on Friday and I also really want to participate in Marcy’s Alphabet Blogging! 1. I missed the Letter E. Don’t worry I’m working on an E post. It just won’t post in the right order. I really was striving to not miss a single letter during this round but life happens. 2. I was going to blog on June 2nd about it being one year since my husband’s heart attack. I could still blog about it right? Just for now it is sufficient to remember how scared I was. How scared my children were and how God ministered to us through the Body of our church. I filled with gratitude when I remember the phone calls, the visits, the meals, the support, the love and the caring, the prayers. 4. Tailorbear is really excited because she is having a sleep over tonight. I am really excited because we’re ordering pizza and I don’t have to cook. 5. This weekend is Pentecost! Since becoming Orthodox Pentecost has become a big deal to me. I never celebrated Pentecost as a protestant. It wasn’t a big deal for me growing up Catholic in that I don’t remember anything special. My parish will have a big BBQ picnic on Sunday after the services. We are really looking forward to it. Pentecost is a big deal because it is the birth of the Church. This is when the Holy Spirit came down. Jesus ascended into Heaven and sent down the Comforter and Christianity was born. Supergirl likes Pentecost because the priests and deacons wear green vestments. O Lover of Man, Glory to You! Linking up to both the Pebble Pond and Ben and Me blogs! If you’re a regular reader of my blog you may be a bit familiar with Supergirl, my special needs developmentally delayed daughter. Though chronologically 16 years old she is globally delayed in all areas. We are not new to the ideas of neurodevelopmental or the effect of programs designed to improve neurological connections in the brain. Though familiar with different techniques and approaches, I am not familiar with the history of the research, or with the people who played a part in bringing an awareness to the connection to organization of the brain and improvement in cognitive abilities. Recently, I read A Life in Balance which is the biography of Frank Belgau (as told to Eric Belgau). Frank is the creator of the Learning Breakthrough Program. This isn’t just his story but the story of how The Learning Breakthrough Program came to be and the story of the struggle of teachers, parents, psychologists, and optometrists in helping “minimally brain-damaged” or “disabled” children to learn to read. This softcover book contains over 200 pages from the Preface and Introduction through the Appendix. Eric broke his father’s words into short easy to read chapters. Longer chapters are divided into sections. These smaller chapters and sections made the book easy to follow. The first four to five chapters out of the 30 chapters focus on Frank’s early life: his early school days, how he develops his love of science, his time in the air force and then the start of his teaching career. The bulk of of the book describes how each school, job or person helped him to understand the development of the brain or to refine his theories. I like that the chapters are named for an influential (on Frank’s life) person or place. The brain’s process of development, which begins in the womb and continues into adulthood, provides the foundation of learning. An individual’s abilities derive from the efficiency of those systems, from the basic organization that manifests itself through the integrated coils of evolving, expanding, expanding neurological systems. Disabilities derive from an inefficiency in that basic organization, repeated and repeated like the reflections in a hall of mirrors, hampering the efficiency even of seemingly unrelated regions of the brain. Throughout the book, Frank describes some of the activities he tried and the observed effects of those activities. The activities helped to restore the basic organization. He tells us that he, himself uses the program he created to make his own brain more organized now that he is older. Frank’s book offers hope. He offers a solution. No one is too old to try these activities in the Appendix. No one is too young. In chapter 30 he says he would love to hang a pendulum above every crib. Knowing that even I could try these activities gives me hope that I can help my two children, who I suspect have ADD/ADHD. I intend for those two teens to read through chapters 26, 27, and 28 to understand *why* I want them to try the activities. It’s nearly summer break and I think we’ll be working on improving our vestibular systems this summer. This book also confirmed or affirmed for me that using a neurodevelopment approach for Supergirl was the right choice. Children like Supergirl with severe brain damage/injury are not addressed in the book. She has significant issues related to her stroke. She can still benefit, and we’ve seen those benefits, from working through a program designed specifically to help her organize her brain for improved overall life function. If you need hope that you can do something other than medication for treating ADD or ADHD, or if you need hope that your son or daughter can actually learn to read, you may want to read this book. Do check out the Learning Breakthrough Program website and look at the articles and products. Visit the Schoolhouse Review Crew blog to read what others have to say about A Life in Balance from Learning Breakthrough Program. A few years ago the Schoolhouse Review Crew introduced me to a company called Progeny Press. Progeny Press creates wonderful study guides to accompany a wide range of literature. There are guides for books from early elementary all the way through high school. Book titles range from current new fiction to beloved well known classics. There are even a few titles of gems that I’d never heard of before. Because I was able to review several study guides before, I knew I wanted to review Progeny Press again. I have not been disappointed with our choice to review The Hunger Games Study Guide and The Courage of Sarah Noble Study Guide. I received both of these as downloadable PDF files. The Hunger Games guide also has a section for the Study Guide Author, but the Sarah Noble guide does not. Dig Deeper: I think of these like a mini-bible study. These questions explore themes, concepts or ideas from the story from a biblical perspective. Note: The Answer Key for the high school guides is a separate (but included) file. Hunger Games Guide includes an Overview Section. I think of this section as the literary analysis section where you explore the theme, the dramatic structure, the conflict and even the characters. The other sections, even with the probing questions, are much more like comprehension questions. It’s more than just understanding the book but not quite the same literary analysis as provided in the Overview section. The other sections of the guide prepare you for the overview. In the Note to Instructor section, it states that you can use the overview section as final exam. Hunger Games has a section of essay and writing assignments. These are optional but I think requiring one paper from this list from high school students truly makes this worth 1/4 credit for high school literature. Sarah Noble has an Activities, Arts and Crafts section which even includes a crossword puzzle. Sarah Noble contains suggestions for further reading while Hunger games calls the same section a list of additional resources. I used this study guide by Rebecca Gilleland. The novel is a popular novel to include in literature based American History programs for elementary aged children. The study guide provides an excellent opportunity to tie language arts and history together. This guide is labeled 1st-3rd grade. Developmentally Supergirl functions around a 1st grade level. As such this is not a guide she could use independently, though I think many 3rd graders would be able to use independently. I chose not to print out the guide but rather to put it on my Kindle and use it as discussion questions with Supergirl. At first I read both chapters and then on another day we would discuss the questions. Then I tried it where I read one chapter, then we did all the questions for that chapter. This meant that we would do the vocabulary for the words covered in the first chapter, then skip ahead and do the other questions. Then I would read the second chapter in the section and do the same thing. We were about 3 quarters finished with the book and I gave her a choice. Do the study guide for the chapters we just read (I had gone back to reading both chapters instead of one at a time) or finish the book and do questions for both sections over the next couple of days. She choose to finish the book. The activities and crafts at the end of the study guide serve as a nice wrap up. Supergirl particularly enjoyed building a log cabin but we had to modify the the project just a bit. Our pretzel sticks would fall over if we put them more than 3 high. So instead we spread frosting on a graham cracker and Supergirl laid out pretzel sticks to form a wall. We were then able to stand the walls up and add a graham cracker roof. Overall I think she enjoyed the study, but I’m not sure she really got as much out of it as she would have if she were “older.” I think a 1st grader would get more out of this if they were working through the study with an older sibling and I do think this is a great study 3rd graders. I do want to try some of the other lower-elementary titles available with Supergirl. Rebecca Gilleland also wrote this study guide to go along with the Hunger Games novel by Suzanne Collins. Turtlegirl and Tailorbear had both read the novel. Both have used and loved Progeny Press guides in the past so both were excited, almost eager, to get a chance to study this rich novel in depth. I had not read the novel before and decided I wanted to read the book myself so that I could participate more fully in our discussions. I love that the study guide includes an answer guide. In the past I relied heavily on them because I had not read the book. I used it this time for easy checking of vocabulary sentences and as a comparison for our own answers to the questions. In the note to instructor section, it is suggested that you might complete a section a week. A section would cover 3 to 4 chapters of the book plus the vocabulary and questions. Progeny Press recommends the student complete one page per day in the study guide. At the high school level, this means the guide will cover about one quarter (8-9 weeks). One suggestion includes reading the entire book and doing pre-activities the first week. The girls had already read the book but it had been awhile so they started re-reading the book and they wrote essays about dystopian societies. We have found that we prefer to read the books as we go through the study. It had been long enough since Tailorbear had read the book that she really did need to re-read it and it worked better for her to read slightly ahead of where she was working in the guide. This kept the book fresher in her mind. The guide does say that students should be allowed to refer back to the novel when completing the study guides. I had the girls work through each section independently and then we went over their answers in a group discussion. Sometimes even mom answered the question before we would check to see what the answer key said. The discussion with my daughters are my favorite parts of these study guides. The Hunger Games Study Guide is interactive which means the girls could type their answers directly into the PDF document. So we would sit around the family room with the girls and their laptops and me with my Kindle Fire that had the Answer Key PDF. During the review period Tailorbear and Turtlegirl attended a birthday party. This was a special Foam Sword Party and one of the “battle” reenactments was called Hunger Games. The girls came home excited to talk about how the Form Sword Battle set up a situation like the beginning of the Hunger Games and the dash for weapons at the Cornucopia Tailorbear also got to be an archer for the battles. Both girls have gained a deeper interest in archery because of The Hunger Games and one of the pre-activities to learn about archery. The Hunger Games Study Guide can really get my mind going. If if I’m in the right mood or frame of mind, it can get me thinking deeper and more seriously about the story. I appreciate the depth of some of the questions. The only issue I really have is with some of the more 'bible study' questions. I like that we are reading a bible passage and being asked questions like number 15 in the Chapters 8-10 section. We read about David and Hanun and we’re asked to describe how that might be similar to how Katniss treats Peeta. Then in question 16 we’re asked to read a NT passage and explain how Katniss might have behaved differently if she followed Christ’s words. I really like that part because it’s taking a Christian perspective and asking us to apply it to the Hunger Games. I do have an issue with asking questions that have NO real connection to the story and only have something to do with the Bible such as how would Hanun’s behavior be different. Otherwise the study guide was amazing and it helped me to understand the Hunger Games on a deeper level. Overall I continue to be very pleased with Progeny Press Literature Study Guides. I have used 5 of them and only once did I have an issue that made go “hmm.” In the Sarah Noble guide there is a statement about how Sarah did not use a memorized prayer but rather made her petitions known to God. It read like memorized prayers were a bad thing and I disagree with that. We certainly do add our personal petitions to our memorized prayers but memorized prayers can be beautiful and heartfelt. I do like that these study guides are from a Christian Perspective. We just make sure that we use an Orthodox Study Bible for reading the suggested passages and we skip some of the questions that are more “Bible study” related instead of “literature study” related. I do recommend these study guides and Tailorbear has requested to use more of them. NOTE: Read my other Progeny Press Reviews: Screwtape Letters and Bronze Bow, and The Hobbit. Read my daughter’s guest review of Screwtape Letters. Visit the Schoolhouse Review Crew blog to read what others have to say about Progeny Press.